As the nation spirals out of control, the demand for change appears to be gathering momentum. In recent weeks, there have been calls for a national unity government, an all-party summit, a “gathering” to call for Prime Minister Najib Abdul Razak’s resignation. Even the redoubtable Dr Mahathir Mohammad is now reportedly urging all political parties to set aside their differences and join hands to pressure Najib to step down. Never has there been such a level of despair, anger and discontentment with the government. Malaysia’s long-suffering citizens might finally be coming to the end of their patience. What happens in the next few months will be critical. While Najib is quite rightly the immediate focus of attention, the roots of the present malaise go much deeper. “Putting aside our differences and joining hands” is, unfortunately, not going to be enough to get us out of the morass we are in. A change of leadership without reforming the political system that contributed to the present crisis will solve nothing; it will merely substitute one undemocratic leader for another. Whatever change that ensues will be purely cosmetic, mere window dressing to hoodwink the people, a chimera that will allow the same corrupt political elite and their cronies to continue in power albeit with a different face. If the move to oust Najib is nothing more than a feud between competing factions of a corrupt regime or is simply motivated by a desire to replace him with a more competent and subservient manager of what is clearly an immoral and unsustainable system of governance, we should have no part of it. Indeed, to join such a move will be to participate in our own torment, to perpetuate the very villainy that now oppresses us, to consign our nation to yet more long years of corrupt and repressive rule. It is what brought us together in nationhood in the first place; it is what we committed ourselves to as one people before the vicissitudes of time and circumstance pulled us in a different direction. 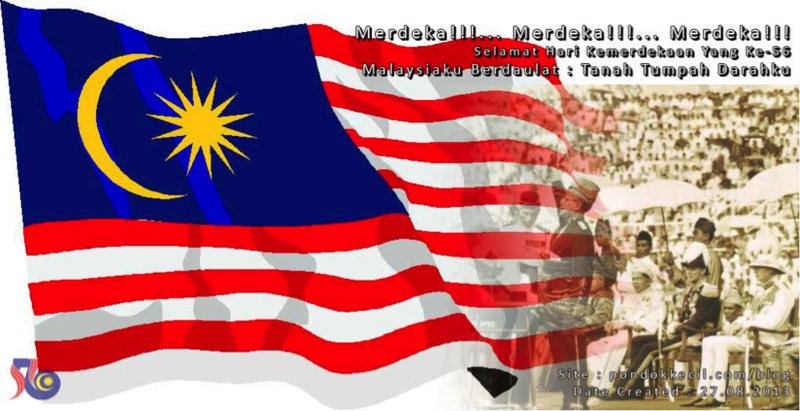 The fact is we can no longer paper over the serious differences that are gnawing at the very soul of our nation – whether we are a secular constitutional democracy or an Islamic state; whether non-Malays are equal citizens with equal rights or merely “pendatangs”; whether the government exists to serve the people or a small group of cronies who enrich themselves at the expense of the people; whether our government will be accountable and transparent or secretive and evasive; whether the rights of every citizen will be fully respected or subject to the whims of the ruling clique; whether our justice system will be impartial and independent or merely an appendage of the ruling party; whether the will of the people as expressed through a free and fair electoral system will be respected or subverted. It is axiomatic that we cannot unite around our differences; unity can only be forged around a common core of values and principles that all can subscribe to, support and defend. Admittedly, this will not be an easy task especially given the urgency of the hour. Of course, there will be those who will argue that such issues will only distract from the immediate task or that they can be discussed later. Let’s face it: we’ve avoided a serious discussion of these issues long enough in the vain hope that they would sort themselves out. It’s time to take the bull by the horns and let the chips fall where they may; at least it will end the uncertainty. And besides, I confess to having absolutely no faith in any assurances that these issues can be taken up later when the situation improves. If they won’t discuss it now, they never will. Accordingly, I suggest that Malaysians should insist on three things before giving their support to those calling for a change in leadership – a solemn and public commitment to the core principles enshrined in the Federal Constitution, a plan of action to effect real change and the participation of civil society to keep them honest. In July last year, a group of highly respected civil society leaders put forward a memorandum entitled “Demi Rakyat” (For the people) proposing that the nation converge around core principles and a common action plan to rescue us from the crisis we are now in. Among the core principles they outlined were respect for the Federal Constitution and fundamental liberties, the rule of law, transparency, accountability and good governance. Surely, these are all principles that we can all agree upon rather quickly. Any politician who is hesitant to endorse these core principles should be viewed with suspicion. The Demi Rakyat action plan called for the formation of an interim all-party unity government to stabilize the situation and restore public confidence in the administration of the country. This would be followed by free and fair elections, the restoration of fundamental liberties, the promotion of genuine national unity and the alleviation of the economic hardship faced by the people – all entirely in keeping with the Federal Constitution. It may not be a perfect plan or even the only one out there but it does contain the key ingredients for meaningful change and can serve as a useful basis for negotiation. If Dr Mahathir and other political leaders who are now demanding the ouster of Najib can agree on at least the broad outlines of such a plan to save the nation, without a doubt many will rise to support their call for change. The role of civil society – the rising third force in our nation – will be crucial in the transition process. What is at stake is simply much too important to be left to the politicians, whatever their stripe. Many of our politicians have been nothing but a disappointment and can no longer be trusted to pursue meaningful change on their own or to act in the best interest of the nation. To be sure, civil society is by no means monolithic but there is already a meeting of minds forged on the streets of our cities from BERSIH and other rallies, in the detention centres and law courts of the land as they battled spurious charges, and in numerous discussion groups, seminars and forums. Outstanding leaders like Maria Chin Abdullah, Azmi Sharom, Ambiga Sreenevasan, Adam Adli, Fahmi Zainol, Cynthia Gabriel, Noor Farida Ariffin, KJ John, Zainah Anwar, Ahmad Farouk Musa, Jannie Lasimbang, Marina Mahathir, Honey Tan and many others have emerged with a great passion for freedom and democracy, for justice and good governance, for racial and religious tolerance. They have demonstrated the courage of their convictions and can safely be entrusted to shepherd the process of transition and change forward, speak truth to power and hold them accountable. Whatever happens, there should be no illusions of what failure will mean. If this yearning for change is squandered or cynically used by the few to further their own narrow agendas, the Malaysia we still dream of – a place where all can call home, where all are treated with fairness, respect and dignity, a nation where democracy and freedom thrives, a nation where tolerance and respect for diversity is proudly cherished – will be finished. Resolve will dissipate. A great dream and a noble idea will fade. And it will be a very long time before we will dare to hope again.